Fresh, light, tangy, and slightly sweet – these fat bombs are a hit with everyone who tries them. They taste like lemon cheesecake, and have tons of nourishing fats and probiotics in them. Fat Bombs are used in healing diets when people find they are not getting enough fat or calories, or for an easy-to-eat treat that doesn’t have sugar. Read more about fat bombs here. These lemon cheesecake fat bombs use cultured cream cheese, real lemon juice and zest, and nourishing coconut oil. Kerrygold butter delivers a beautiful yellow color and deep flavor and nourishment. To keep them low carb, we sweeten with stevia – a natural zero-calorie sweetener that goes well with lemon. A pinch of salt and dash of vanilla balances out the sweetness. The ketogenic diet (also called low carb/high fat) can be done for weight loss, or for health issues like blood sugar control, epilepsy, and more. The goal of a ketogenic diet is to have your body running off of fat, and not carbohydrates. To keep the body in this ketogenic state, it is important to limit carbohydrates, and to a lesser extent protein, and eat primarily fat. 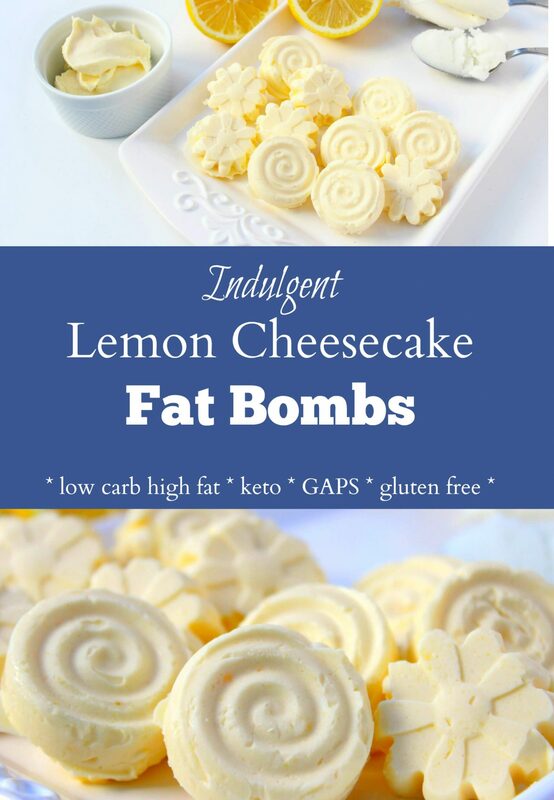 Fat bombs are perfect for rounding out the diet, and a delicious treat as well! 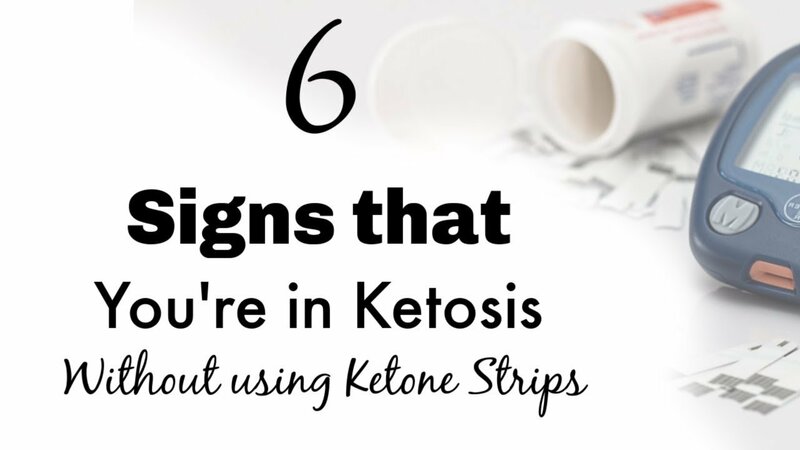 Learn more about the ketogenic diet here. Get the Bacon and Butter bestselling ketogenic cookbook here. If you are on the GAPS Diet, you need to make yogurt cheese to use in place of the cream cheese. Directions for that can be found here. If you have been on GAPS for a while, you may be able to use use store-bought cultured cream cheese, like Nancy’s brand. The problem with store-bought cultured cream cheese is that we don’t know if it has been cultured long enough to use up all the lactose, so there maybe some lactose left in the cream cheese. Lactose is a milk-sugar molecule that is digested further down the GI tract, something we are avoiding with the GAPS Diet. After the initial healing of the GAPS Diet, lactose is one of the first ‘more complex’ carbohydrates that people can digest, provided they tolerate dairy. We talk about how it can be hard to get enough calories when you’re on the GAPS Diet in the GAPS Troubleshooting article, and these fat bombs will help a lot! For little kids, you will want to use little molds like these. If you aren’t avoiding carbohydrates, use 3-4 tablespoons of raw honey in place of the stevia for extra calories. Fat bombs are delightfully simple to make and don’t take any special equipment. I used fun silicone molds (actually lollipop molds – I just didn’t fill the ‘stick’ part) to make these, but they can just as easily be dolloped onto parchment paper and frozen. Use a fork to blend ingredients together, or toss them all into a food processor to mix with extra speed. If you love lemon like I do, a nice lemon zester makes quick work of zesting all that delicious lemon peel to give a fresh flavor to your meals and treats. These lemony treats are a delicious way to get extra fat in! Leave butter and cream cheese out for a couple hours to soften. If needed, heat coconut oil to melt. Do not melt butter and cream cheese or your fat bombs will separate. In a small bowl, combine softened coconut oil, butter, cultured cream cheese, lemon juice and zest, stevia, sea salt, and vanilla. Mix until completely combined. Dollop fat bomb mixture into 18 equal portions, using silicone molds or just placing on parchment paper. Freeze for 4 hours, remove from molds or parchment paper, and then store in the freezer in an airtight container for up to 3 months. To enjoy, remove from the freezer and allow to sit out for a few minutes to soften a little. If you aren't carefully tracking calories and other nutrient values, 1/2 cup each coconut oil, butter, and cream cheese can be used instead of weights. Nutrition was calculated using MyFitnessPal. Using a food scale to measure weight rather than volume of ingredients can save time and dirty dishes, and makes it easy to calculate exact nutrition data if needed. This is the food scale that I use. Nutrition data uses packaged cream cheese as homemade yogurt cheese will vary based on the kind of milk used and other factors. Sign up to get the 20 Cool Treats sent to your email right away! I’m just curious about the benefits of eating these. They sound super interesting. I wonder why so many people recommend Kerrygold butter when it is not organic and the company sprays their fields with chemicals. Just because a food is listed as grass-fed doesn’t mean it’s clean. Hi Willom, I prefer Organic Valley better but most people find it cost prohibitive. Do you have a source for them spraying their fields (the grass?) with chemicals? I hadn’t heard that, I had heard that they do supplement with grain during some parts of the year though. I’m also curious to know how you learned that the Kerrygold farms spray their fields with chemicals. Hi! I am excited to try this recipe. The recipe states that it serves 18.. The text of the recipe, states to put the mixture into 12 equal portions. Can you help clear this discrepancy? Also, just to make sure, is your macro count for 12 servings or 18? Thanks so much!